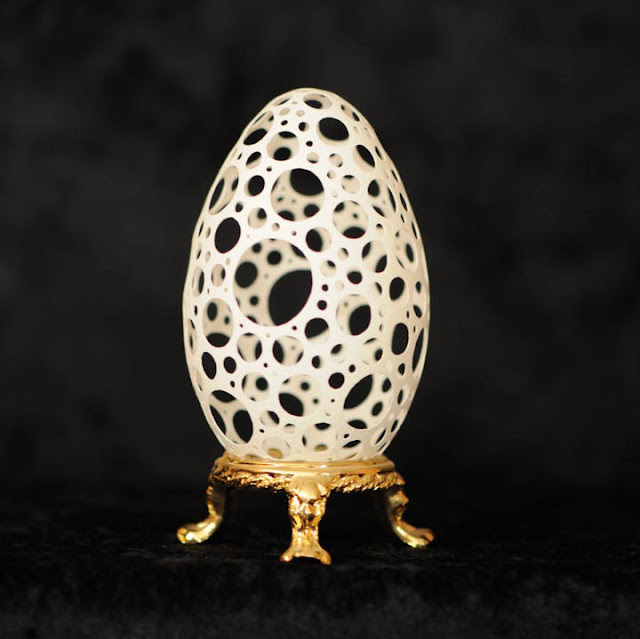 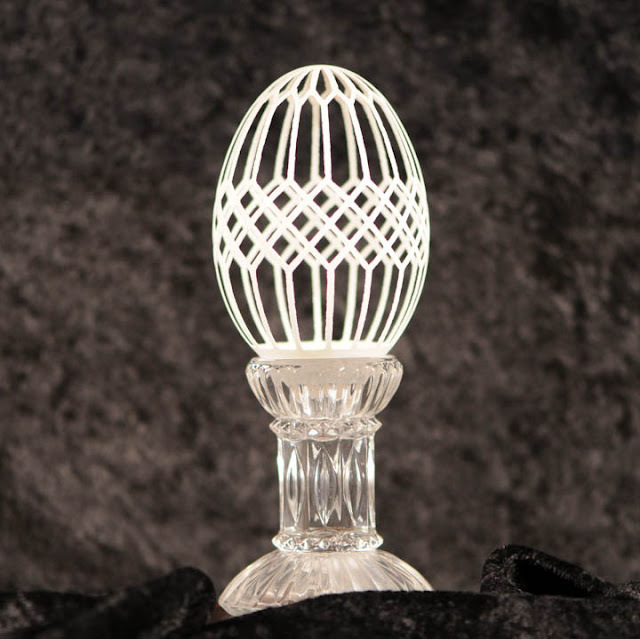 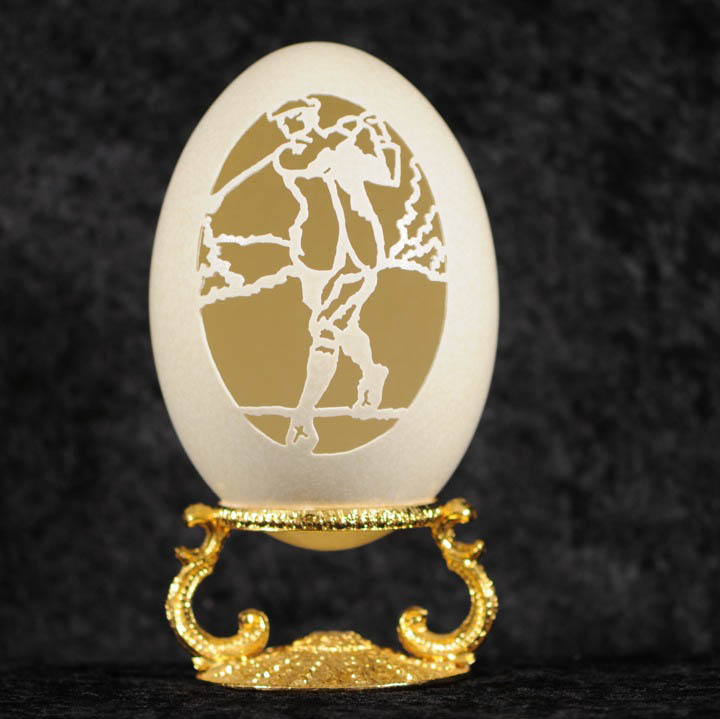 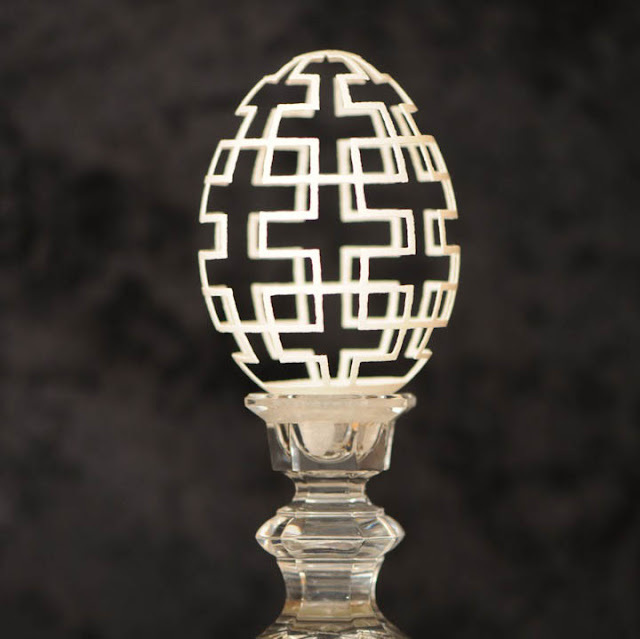 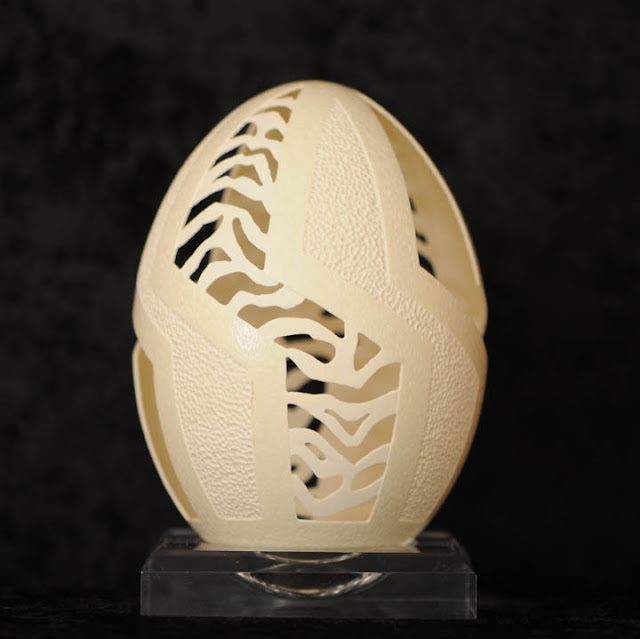 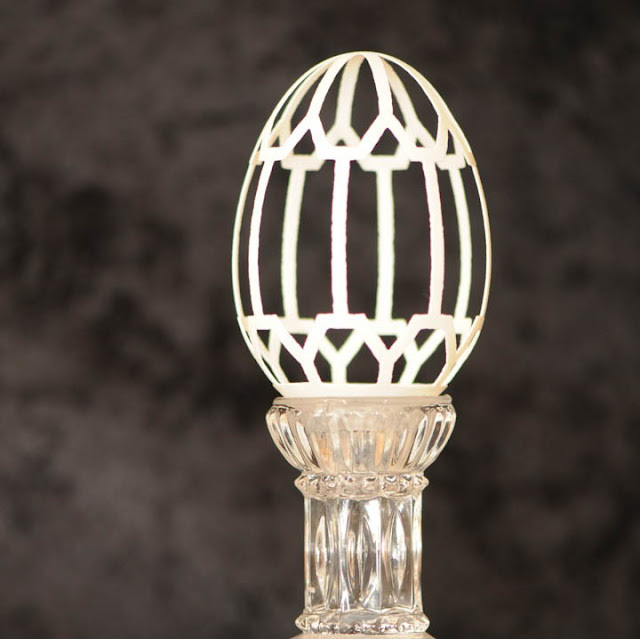 Using a high-speed carving tool called a paragraver (quite similar to a dentist’s drilling tool), Briain Baity creates incredibly intricate works of art using the most fragile of mediums, an egg. 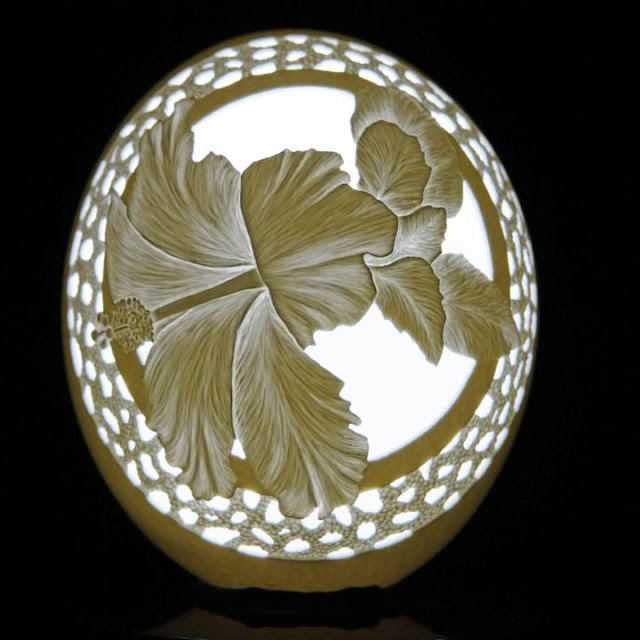 Carving an egg shell requires a very steady hand and lots of patience. Brian’s work has not only been featured in exhibits around the world, but he has also won a number of contests. 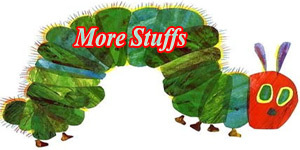 Below you will find a small collection of his award-winning work. 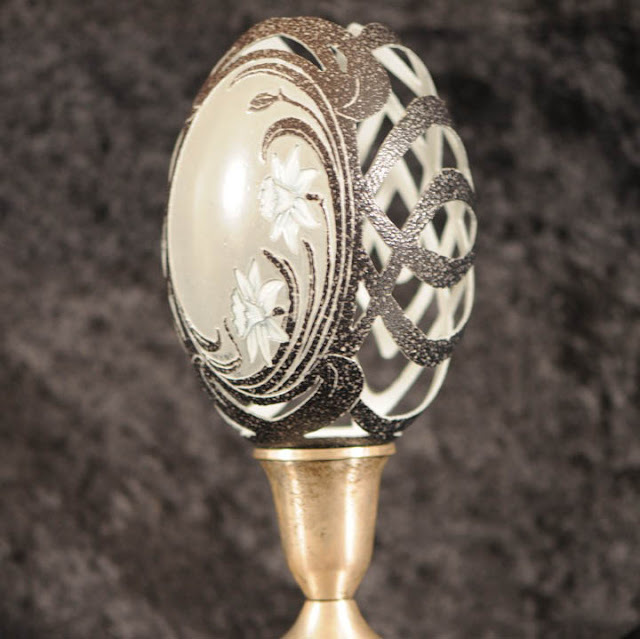 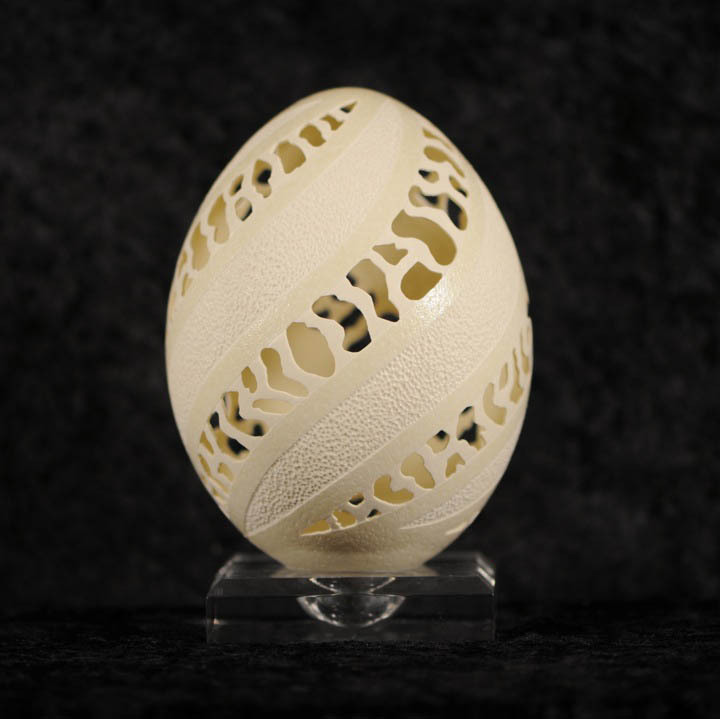 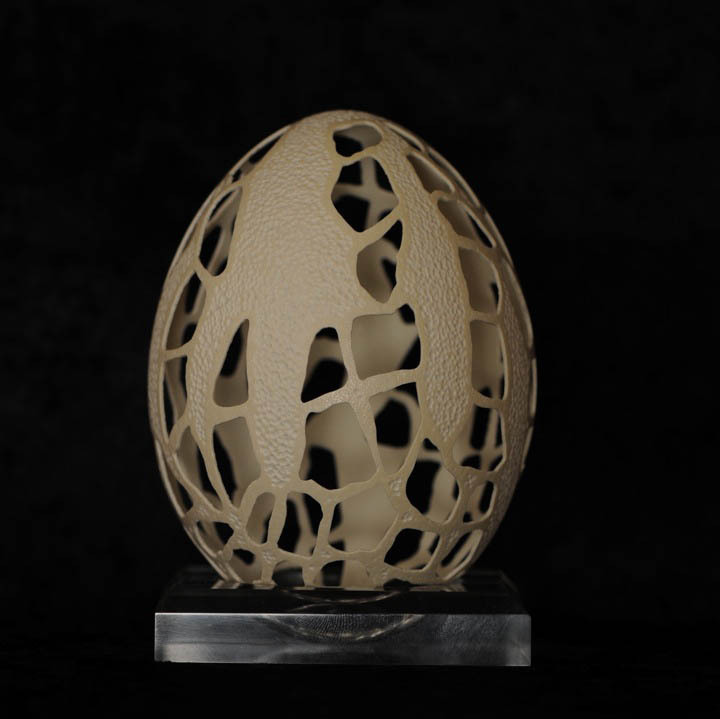 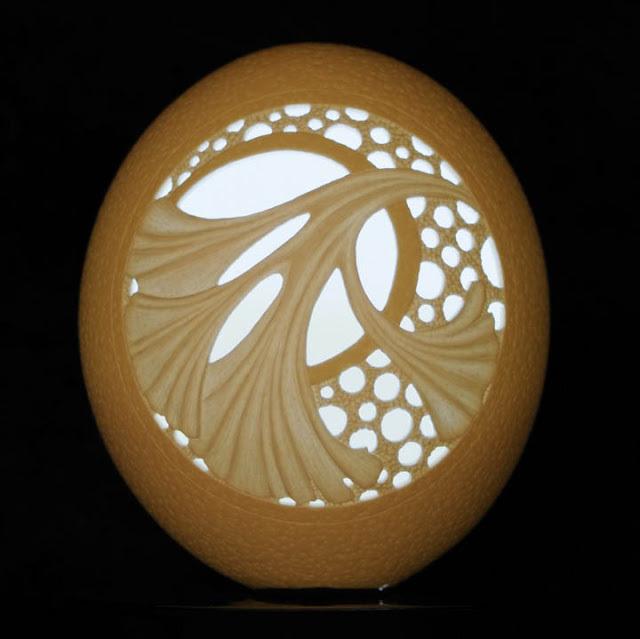 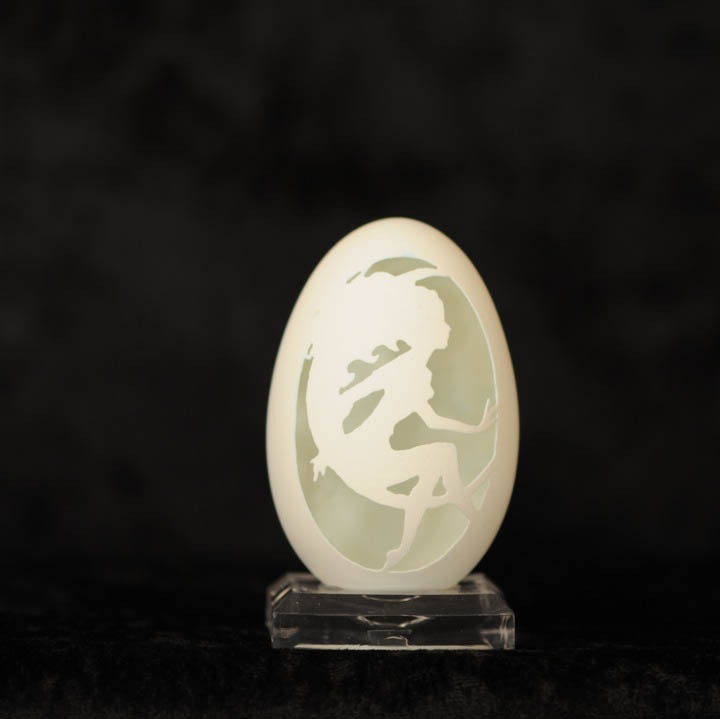 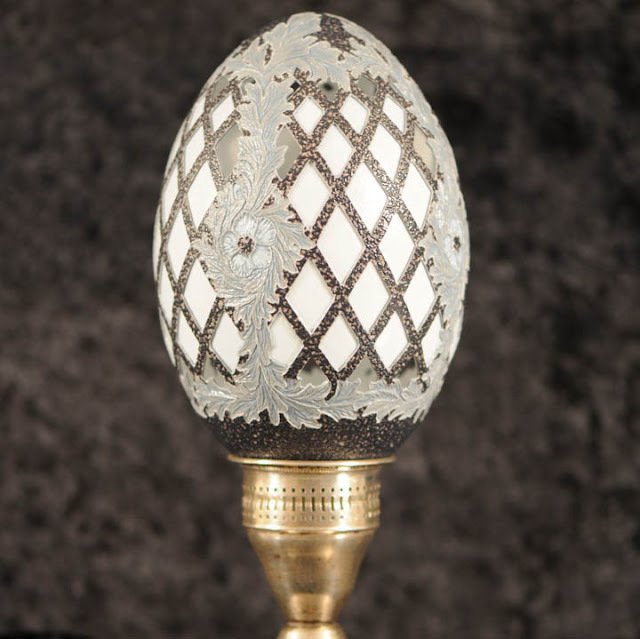 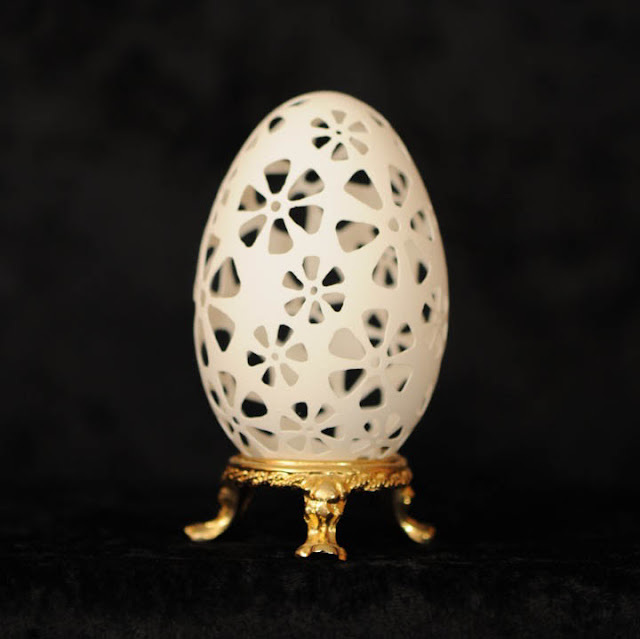 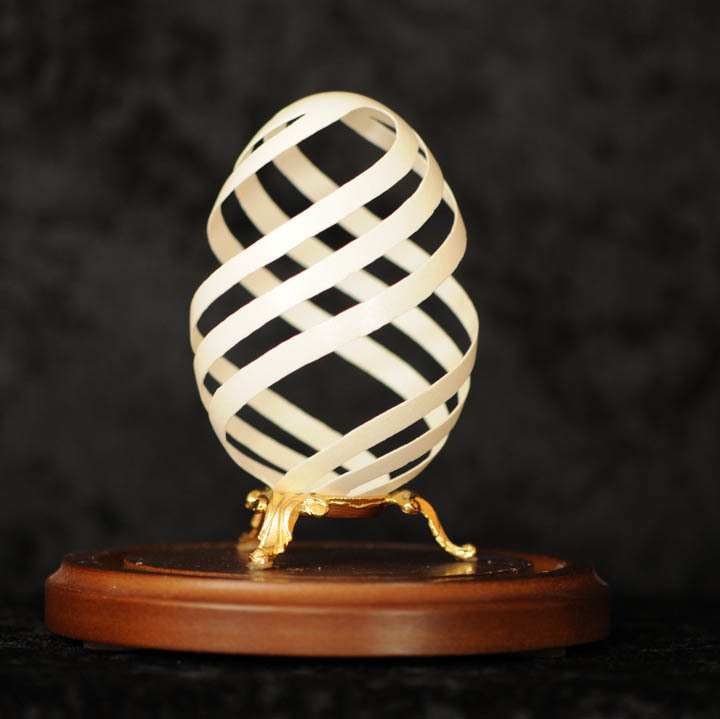 “This is my first carved eggshell. 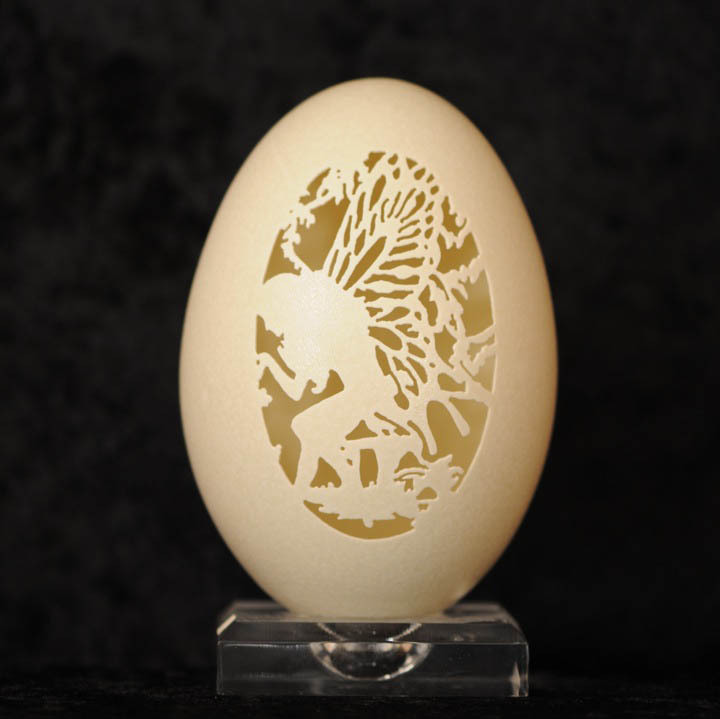 The truth be known, I never intended to carve eggshells. 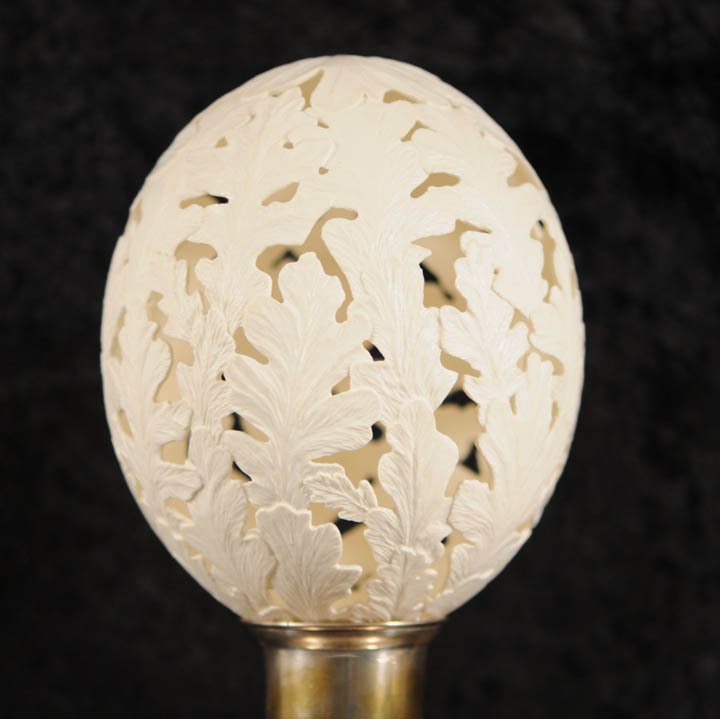 I thought to carve gourds and gunstocks and who knows what else. 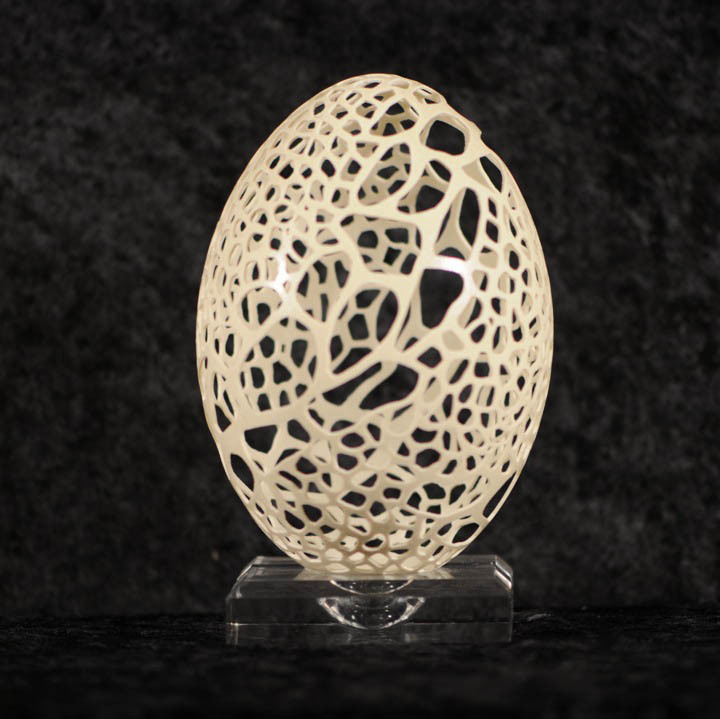 One afternoon I sat down with this eggshell (the only one I bought when I acquired my Paragraver) and created this.